Es algo que acaba de suceder. Ej. : El uso de teléfonos inteligentes es reciente. Cuando lastimas los sentimientos de alguien. Ej. : ¡Tu mala actitud resiente a tu madre! Ex. : The use of mobile phones is recent. Feel bitterness or indignation at (a circumstance, action, or person). Ex. : Your bad attitude resents your mother! 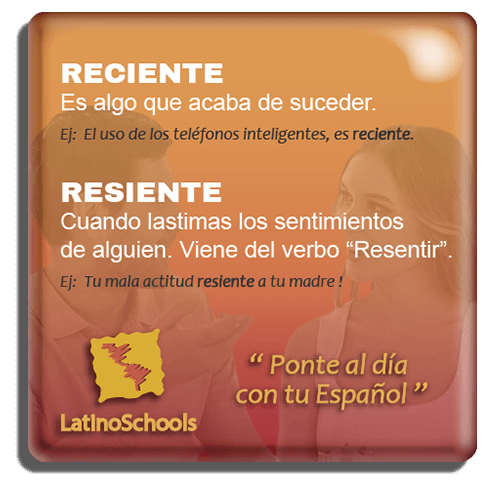 From Latino Schools we know how difficult it is for many foreigners to understand the differences between “Reciente” and “Resiente”. 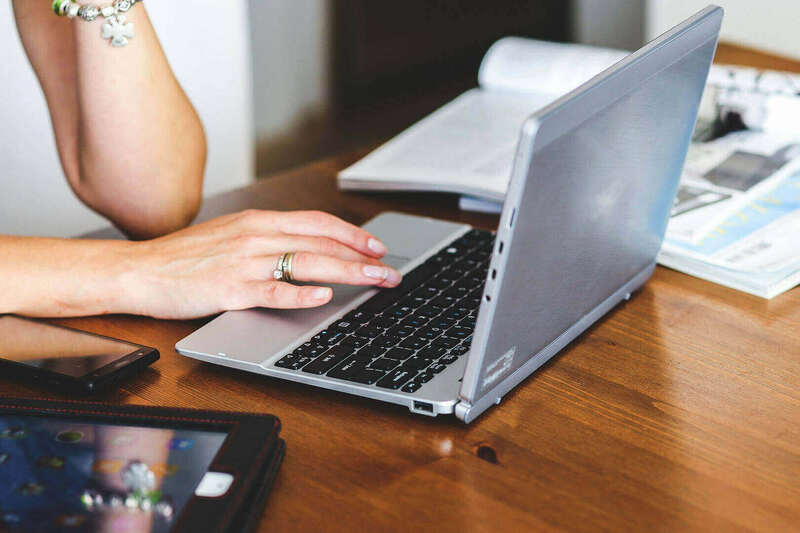 That’s why we have prepared this little Spanish training pill in which you’ll find some tips to differentiate both words and use them in the appropriate context and time. Make a note! 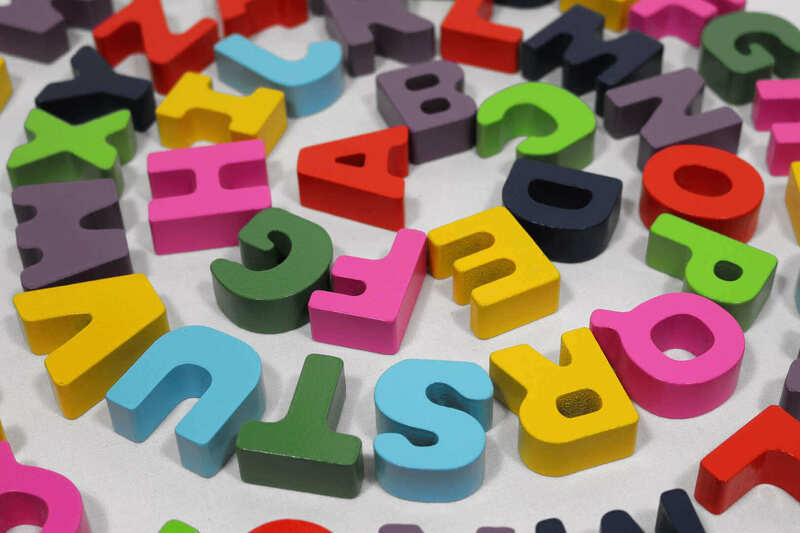 One of the things that surprises Spanish students the most is that, in Latin America, the “Z” and the “C” are pronounced differently than in most of Spain. This is what is known as “seseo” and makes the sound in Latin countries the same as “S” when “Z” and “C” are followed by the vowels “E” and “I” and words like “reciente” or “resiente” sound the same but are written differently and mean different things. 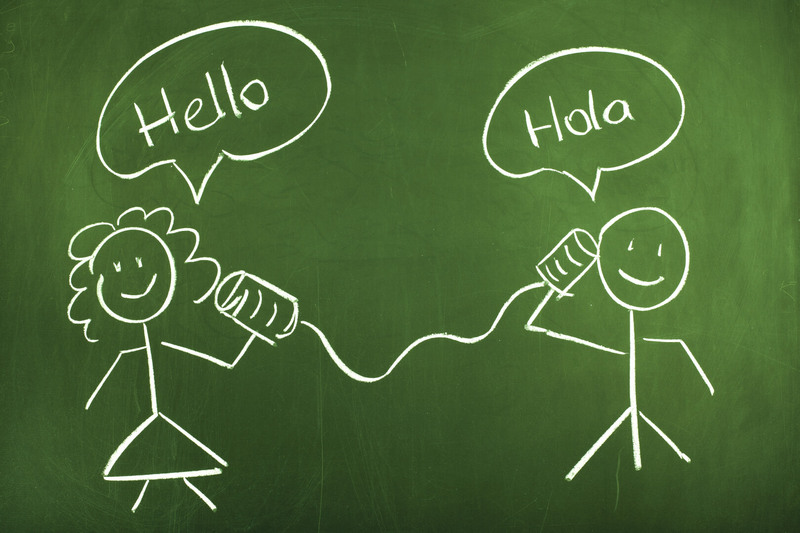 In Spain there is the phenomenon “ceceo”, and the “Z” and “C” are more whistled. So how can you tell the difference between them? From the context in which we hear them. So, while “reciente” it’s something that just happened”, “resiente” is a word that comes from the verb resent and is used when you hurt someone’s feelings. Esta noticia es la más reciente que he leído sobre el tema. This is the most recent news I have read on the subject. Cuando dormimos mal, nuestra salud se resiente. When we sleep badly, our health suffers. Han llegado productos más recientes para esta temporada. More recent products have arrived for this season. Te resientes por algo sin importancia. You resent yourself for something unimportant.